These fish are made from the washed ashore plastic found on the island! Scroll down to read more about our process. Sold at: Living Happy concept store, Landhuis Bloemhof & The Goods. This product is completely made from washed ashore plastic. From the rope to the fish all the materials are cleaned from the beaches of Curacao. The plastic we use for these fishies is plastic that is washed ashore on our island. 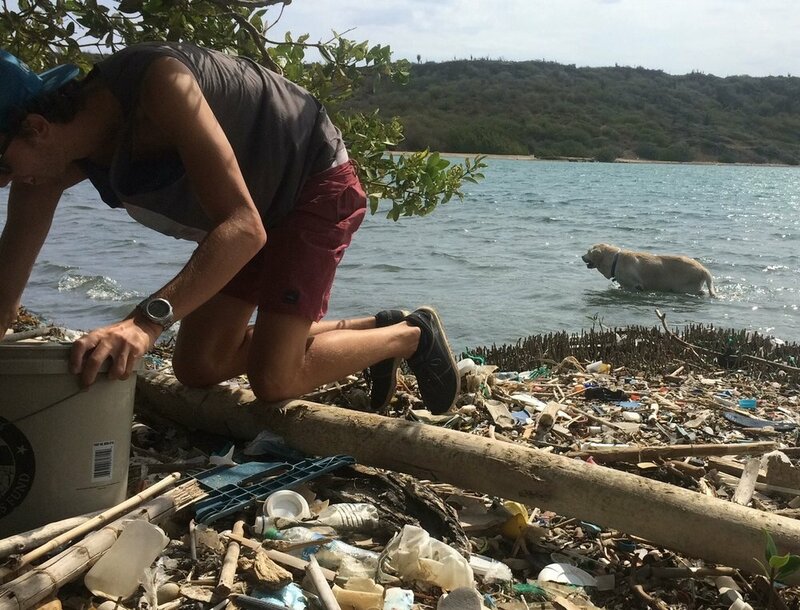 We first started cleaning the beaches by ourself but now get the help of Sea turtle Conservation Curacao. First we collect the plastic and then sort it on color. After doing that we clean the plastic to remove the dirt and salt from all the pieces. After we shred the plastic in smaller pieces and wash it again. After leaving it to dry we are ready to create new products.